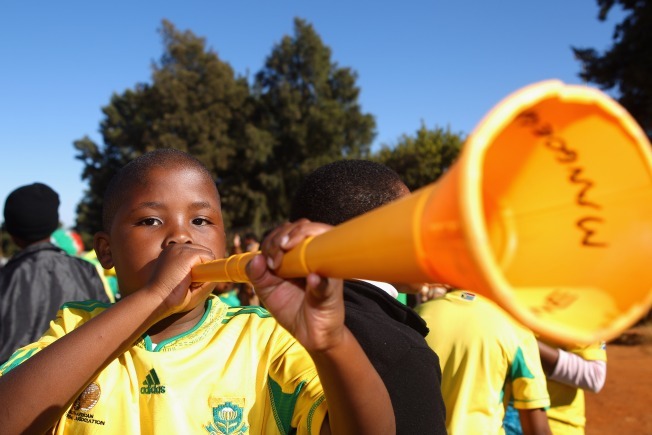 The vuvuzela has been the talk of the World Cup, just as much as the soccer matches. Should they stay or should they go? The noise is annoying to commentators, players and even some fans. But now Dave Henson takes a humorous approach to all the controversy by writing the vuvuzela song. The song is sung rather badly to the baseline of Rihanna's popular song "Umbrella." Henson was commissioned by BBC Radio 5 Live, to write some World Cup tunes from across the pond.